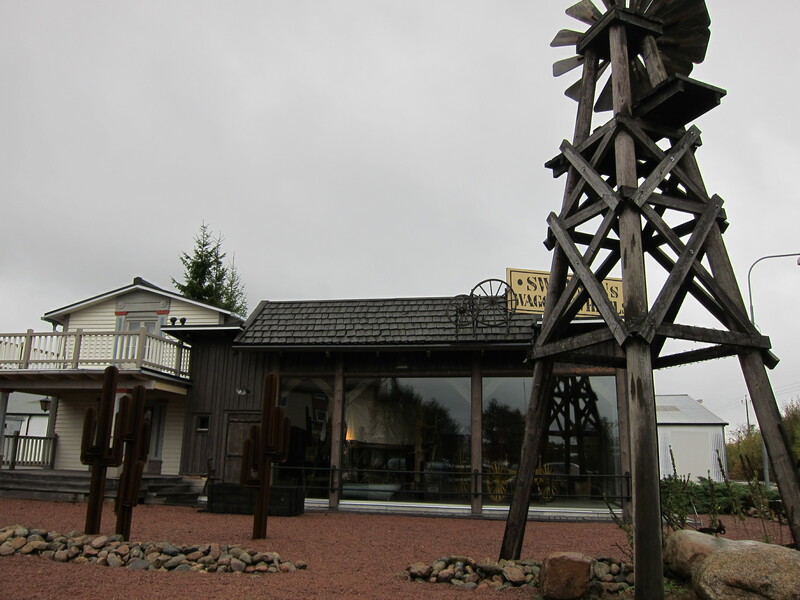 If Homesick in Osby, Try Amerika!! WARNING: This post is not intended for a Swedish audience. After finding where the BRIO Toy Museum was located, I was taking some back streets trying to find the correct way home and we happened to stumble across AMERIKA!!! That’s right, just 20 minutes south of Almhult you can get your full dose of “authentic” AMERIKA!! Feeling homesick? 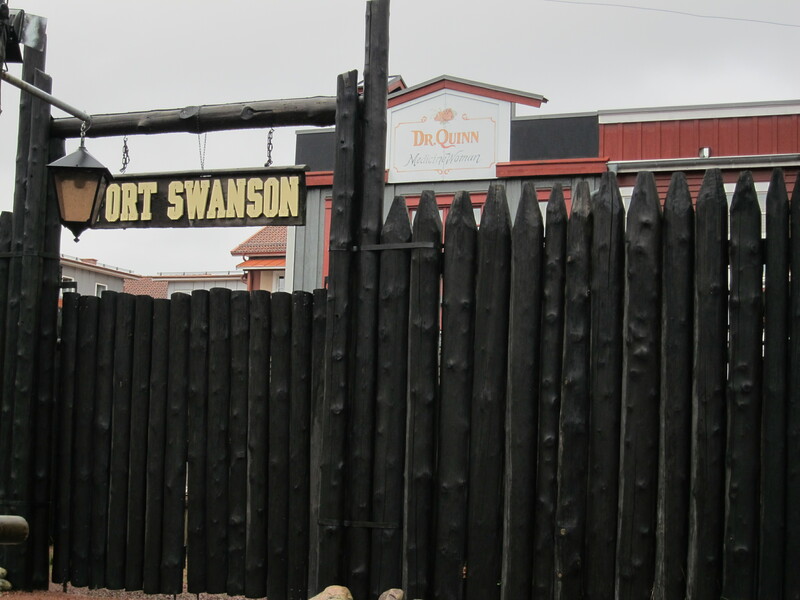 Just head on down to Dr. Quinn Medicine Woman’s shop in old Fort Swanson for a good dose of home. After a long hard day on the trail, why don’t you stop by the saloon and refresh yourself while sitting under the glassy stare of the buffalo head on the wall. But do be careful that you respect local laws and customs or you just might find yourself spending some time in the local jail. Humor aside, this place completely confounded us. Being it was the weekend, Fort Swanson was closed so we were unable to venture inside or get more details about what we had stumbled across. It wasn’t until I was chatting up a mechanic who was changing the oil in my car that I found out what this place was all about. The guy was from Osby and said that it was a travel agency, focusing on…you guessed it, America!! So, I checked out their website (found in the Amerika link above) and indeed it is, and they take great pride in the strong links they have and packages they can offer. In fact, it is sorta sweet, once you get past the hilarity of it. (Though, I probably should let them know that Amerika has changed a bit.) But, I wonder if this is perhaps how America has become represented here in Sweden? 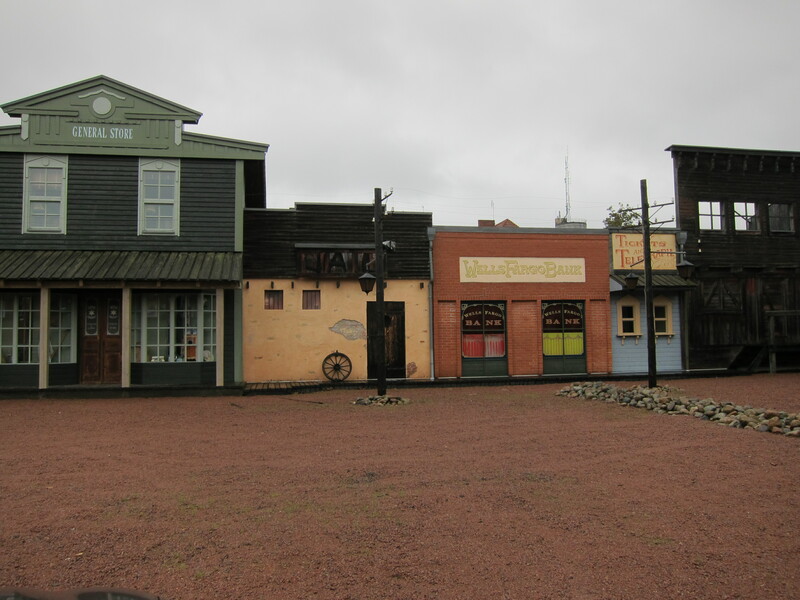 Perhaps our folklore and history of immigration, the wild west, and cowboys & Indians play a strong role in how Swedes view Americans. I do know that in the late 1800s and early 1900s there was a large exodus of Swedes, primarily from the region of Smalands where I am now living, to America. 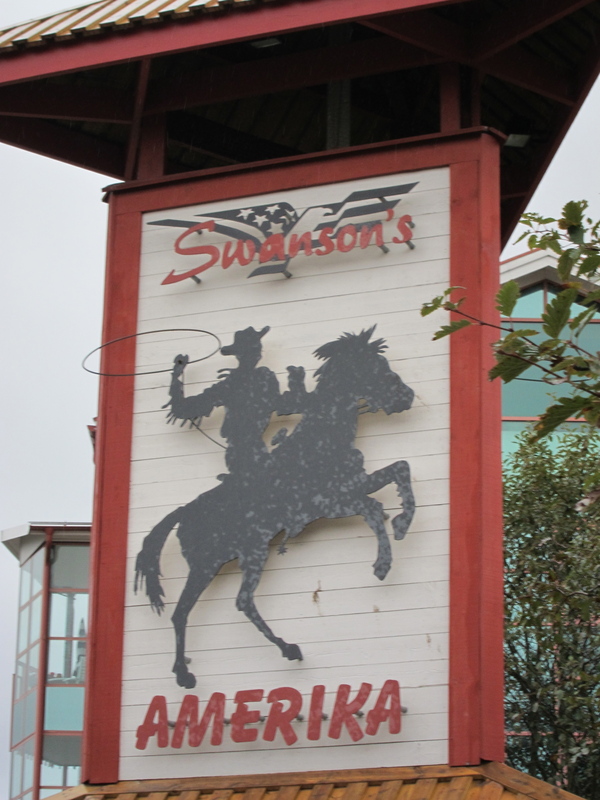 Perhaps there is something more to Swanson’s Amerika than I first thought and that is not just something to laugh at…though I can’t help but snicker a little bit each time I remember turning the corner and seeing a large cowboy swinging his lasso while his horse rears up. Come on, its pretty funny.